Wildfiber Studio is a beautiful shop located in Santa Monica! They have an amazing selection of yarn and their custom colour is beautiful! 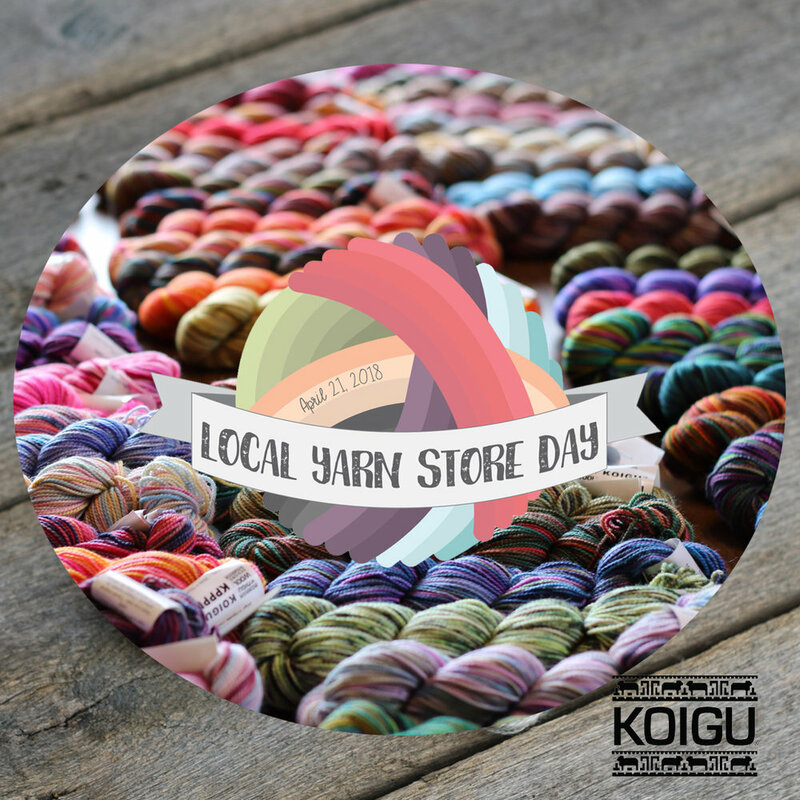 See below for more info on their plans for Local Yarn Store Day as well as their custom colours! What is makes Wildfiber Studio special?We're proud that Wildfiber Studio and it's predecessors has been serving our crafting community for over 25 years. We have a very spacious and comfortable store and are one of the largest yarn shops in LA county. We carry a wide range of yarns including some exceptional hand dyes. We offer knitting, crochet and weaving classes and plans to expand to offer dyeing and even sewing! We love that our neighbors businesses are also creative. They include a sign shop, a fine art restoration business and a painting shop call the The Paint Lab. We've teamed up with The Paint Lab to host community art fairs in our parking lot. What events are planned for LYS Day? The annual LA Yarn Crawl will be coincident with LYS Day. Our Yarn Crawl is a 4-day event April 19-22 so we're very happy to be able to make every day of the Crawl a special occasion for LYS Day. Specifically on LYS Day we will be giving away patterns and door prizes to our customers. At the end of the day we'll be serving hors d'oeuvres, wine and desserts which we're calling a "wine down" since the Saturday of the LA Yarn Crawl is usually the busiest and pretty exhausting for our customers and employees. What products will be showcased on LYS Day? First of all, we are thrilled to showcase five exclusive Koigu colorways. We will also have LYS Day exclusive shawl kits and giveways. Wildfiber Studio is co-owned by Claudia Seizer and Teri Artinyan. We purchased the shop in 2014 shortly after the prior owner closed her doors. We just couldn't let this long time creative space go away so we revived the shop and we think brought it back to its former glory. Wildfiber Studio is a warm and welcoming space for all fiber enthusiasts to enjoy their craft.